Let your bunch of key breathe in style with this clearly efficient pair of keychain holder. 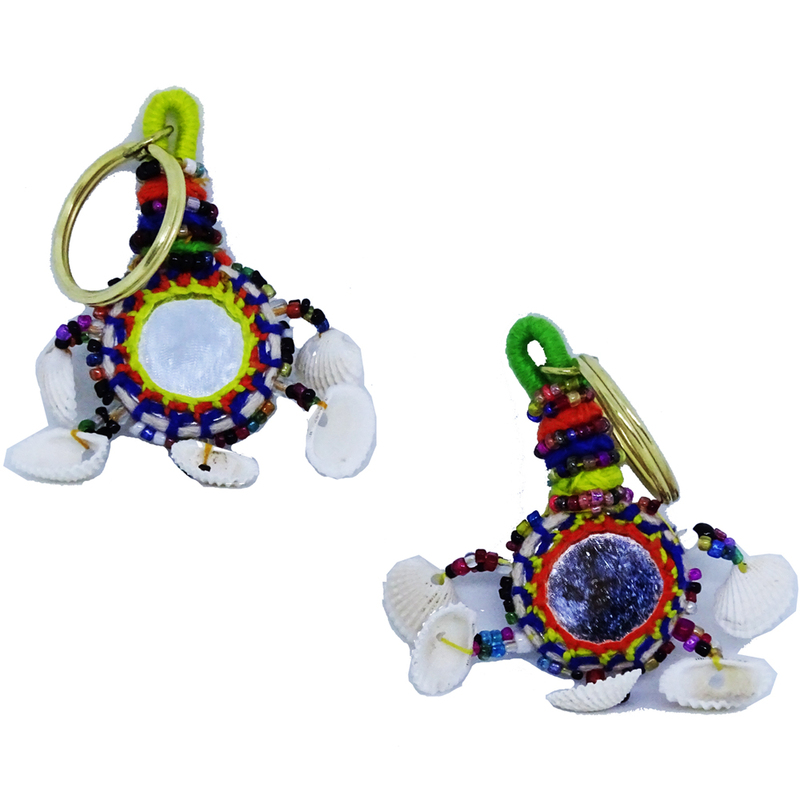 These have been made up of colourful threads, cowry Read More..shells and mirror designs. The elegant and ethnic style of these keychains reflect quite a stylish endeavour. Show Less..